We sell and hire a wide range of walkie-talkie radios, accessories for walkie-talkies, and other two-way radio equipment to businesses, schools, local councils, charities and private customers throughout the United Kingdom and elsewhere. 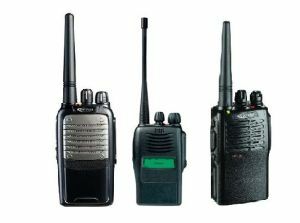 Whether you need radios for your business, school, or you want to hire walkies for a single event, or just want some walkie-talkies to take on holiday, then we can help you to buy or hire the walkie-talkie radios that you need. Our range of business and general purpose walkie-talkie radios are suitable for a variety of uses, both for work and for leisure. Our radios are suitable for use in shops, shopping centres, schools, colleges, hotels, bars & pubs, nightclubs, door supervisors, farms, garden centres, warehouses, factories, general security work, and for outdoor activities including ski-ing, paintball, cycling, running etc. 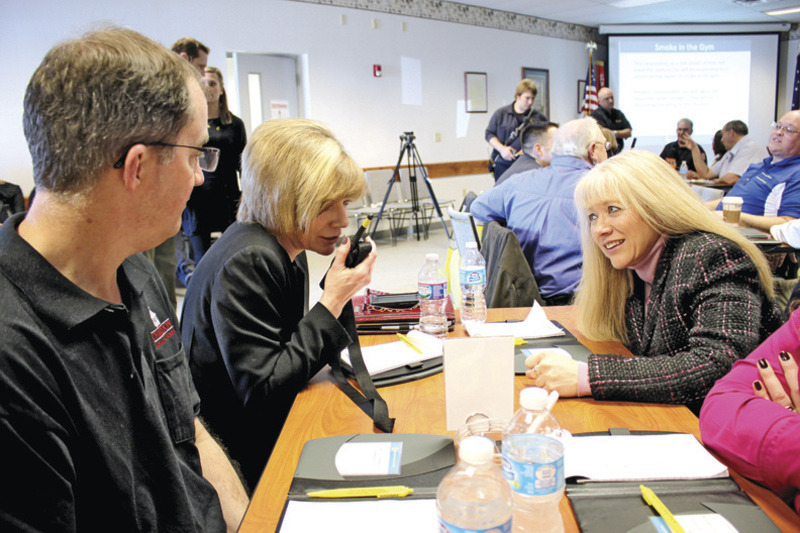 Need to hire walkie talkie radios? 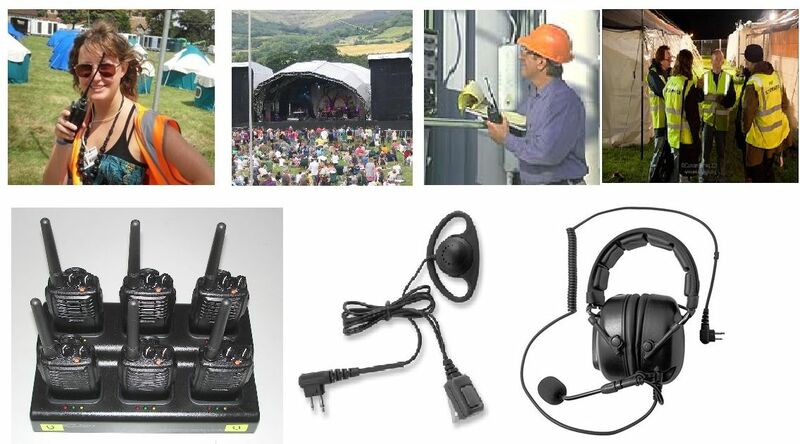 We rent out a full range of professional, full-powered walkie-talkie radios, together with all the accessories that you might need, including earpiece/microphones, headsets, 6-slot multi-chargers, spare battery packs and leather carry cases. We now have UHF, VHF, digital and SIM card network walkie-talkies available for hire. Whatever your event, occasion or hire requirement you have, we can help you. Trying to find walkie-talkie accessories? 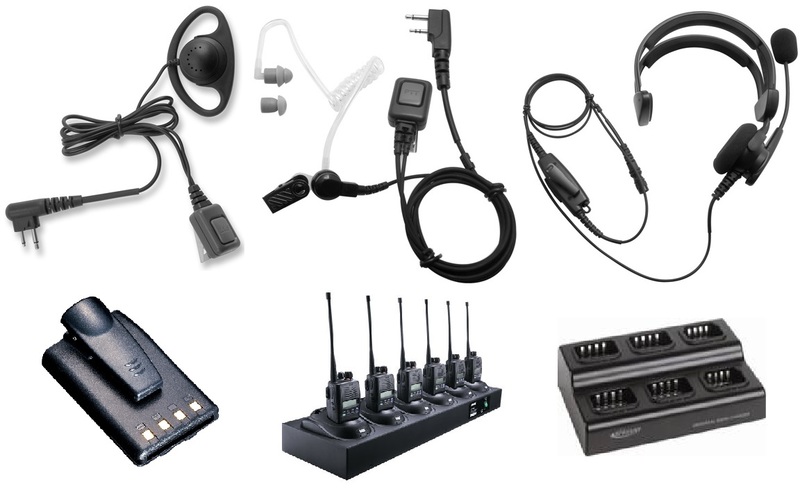 We stock a big range of earpieces, headsets, speakers, battery packs, chargers and carry cases for many leading makes of walkie-talkie radios. Use our 24/7 radio hire automated radio hire quote system to get a price for hiring radios and accessories. Just enter your details, how many radios, earpiece/mics, batteries etc you need to hire, the dates, delivery and collection arrangements, click a button, and the total price will be worked out for you on-screen. You can also get your radio hire quote emailed to you, and if you want to go ahead, just click "Send a Booking Request" to tell us that you want us to contact you to book your radio hire up. Our new mobile data networked walkies can send messages all over the country! They use the mobile phone data network, you use them just like regular walkie-talkies. We specialise in providing walkie-talkies to schools and colleges. Amherst offer a full range of walkie-talkie radios, from small and cheap basic ones to full-powered professional radios. We can provide information, free advice and no-obligation trials of any of our range of walkie-talkies.